IAEA Deputy Director Herman Nackaerts said today he was aiming for an agreement with Iran this week on a deal enabling IAEA inspectors to investigate a site at Parchin military base near Tehran. It is suspected that research on nuclear weapons has been carried out at the site. The IAEA is also aiming to strike a broader deal with Iran on a "framework accord" defining the inspection regime. 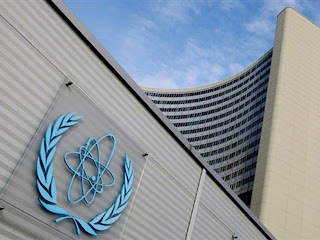 IAEA wants unimpeded access for its inspectors to check Iranian nuclear activities, known as the Additional Protocol. Nackaerts made the remarks at Vienna airport before departing for Tehran, heading an IAEA delegation for talks with Iranian officials on Wednesday.